Author: Dr. Robert L. Bowen, P.E. 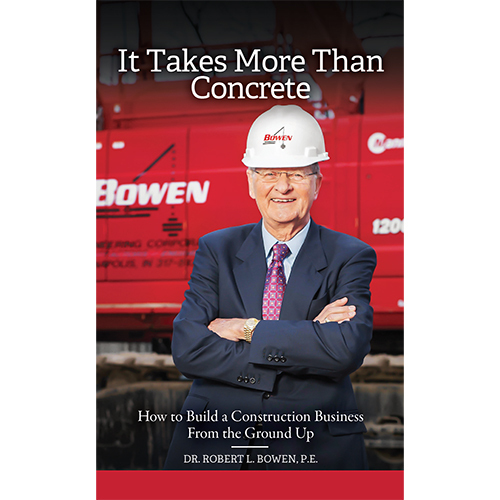 As you follow along with the journey of Bob Bowen throughout this book, you get a sense of what made the man and what made the business. It’s a journey we celebrate everyday, and especially today, as we enter our fiftieth year of business at Bowen Engineering Corporation. But the personal stories and the shared lessons learned are timeless and invaluable, to budding engineers and students of business, as well as the most seasoned entrepreneur. Personally, I never tire of the stories from his fifty-five-year career, because these are stories told by my father. It makes me so proud to witness the business that he and my mother started in 1967; to see the employees’ lives changed, the communities improved, and the honest and hardworking quest to build a reputable business along the way. As you read along, it will become clear how I came up with that mentality. It’s because I learned from the best.